As we look toward a new yearly cycle, it is helpful to appreciate what we are transitioning from. 2017 was a year that called us to go deeper into our Empowered Sovereignty as an individual, so that our connections with life are stronger and clearer, rather than lacking healthy interactions. 2017 was a year of transformation as change reached a peak of flow. The first 3 quarters of the year were intense and constant changes, with that evening out for those that went with the currents. Internal change was moving to a new level or pushing to a new level. You’re always worth the effort. According to Areon, the Lyran Council of Time—2018 brings more amplification. You’ll see where you are at on an internal level. You’ll be called toward more clarity and Love, with that focus of the new operating system being strong in 2018. When we respond differently to challenges or creativity, real change is created. Observe your internal response, your external response and find new solution that is based in Love. Sometimes that means holding a boundary, saying no, or taking a creative risk. Sometimes the way is not clear as things form in the subtle realm. Sometimes you are to care for yourself before another, sometimes another before yourself. Always look for new solution based in Love, as the energy is amplifying. What does the year of amplification mean? It means we are going to continue to see a lot of change, and even polarization. Yet we will also likely see new connections as Life propels people to clearer identity. Things will generally feel like they are moving fast, yet the stillness within will be more pointed, for contrast is how we clarify to create. The stillness is the most important connection. It is your internal and eternal connection. Honor it deeply. Love and Truth will be the currency of creation in 2018. You won’t find it everywhere. You will be called to define it within and live it. Boundaries and discernment will become paramount. Living as an Empowered Sovereign is important. January brings a typical focus, as Areon focuses the flow toward beginning. The Heart. It is always about connection and power. 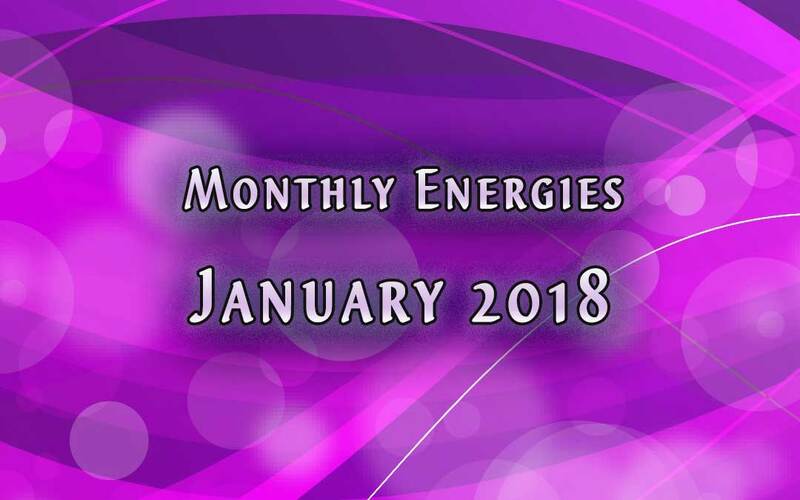 January reminds us to focus first within our crucible of Love, distill Life with our powerful vibrational identity, then allow creation to follow natural forming. January will ask you to focus on what is in your control and what is not. The truly powerful allow those two energies a lovely dance. Individuality and connection flow in and out, harmonizing and transforming, elevating to a new height because of the interaction. As the heart amplification spins ever faster, we are clarifying our internal vibrational information. All that we interact with gets swept through that tide of Love. It transforms the flow. As we begin a new year, look to how Love is leading you. Are you the most powerful flow in your own life? If not, how can you amplify your Love to honor the sacred gift that you are to Life and let that spiral out into the world? Look to your heart flow in January, as we Light the way to a new Earth experience.